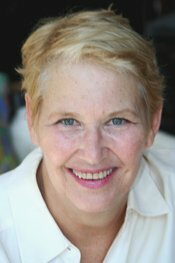 Annie Dillard (b. 1945) is an American author of fiction and non-fiction. She won the Pulitzer Prize for General Non-fiction in 1975 for her work Pilgrim at Tinker Creek. This nonfiction book was written in the first-person detailing Dillard’s exploration around her home in Virginia’s Blue Ridge Mountains and her close observation of nature and life. The following passages comes from that book. The first is her review of passages from another book about congenital blindness and gaining first sight. Dillard’s “first vision” account is quite literally about first vision. It is about seeing things as if for the very first time, before meaning and understanding occupies the mind, less seeing than “being for the first time seen,” “the world unraveled from reason, Eden before Adam gave names” (p. 32). Next postThe Meaning of the Word "Mystical"